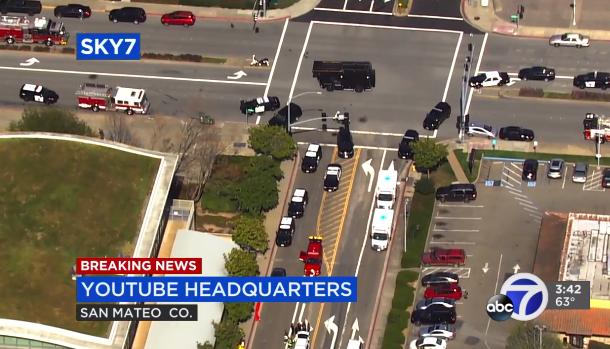 #Roommates, earlier we reported that there was an active shooter at YouTube’s headquarters in San Bruno, Calif. Now, police have confirmed that at least 4 people were injured, one of which is in critical condition. According to the New York Times, the shooter was a woman and she was found dead on the campus from an apparent self-inflicted gunshot wound. The victims included a 36-year-old man in critical condition, a 32-year-old woman in serious condition, a 27-year-old woman in fair condition, and the condition of the fourth victim is currently unknown. One YouTube employee told CNN she was on a conference call when she heard the shots and tried to get out of the building as fast as she could. “We were all suddenly aware of a lot of noises, of sounds, people running outside of the room where she was. And people screaming,” she said. She added that her boss told her at least one person was shot on the patio where they eat lunch. There’s currently no confirmation of a motive. San Bruno is located 13 miles south of San Francisco.